CHOOSING HEALTHY SNACKS FOR YOUR KIDS CAN BE CONFUSING. IN FACT, SOMETIMES IT’S HARD TO DISTINGUISH BETWEEN A TREAT AND A SNACK. 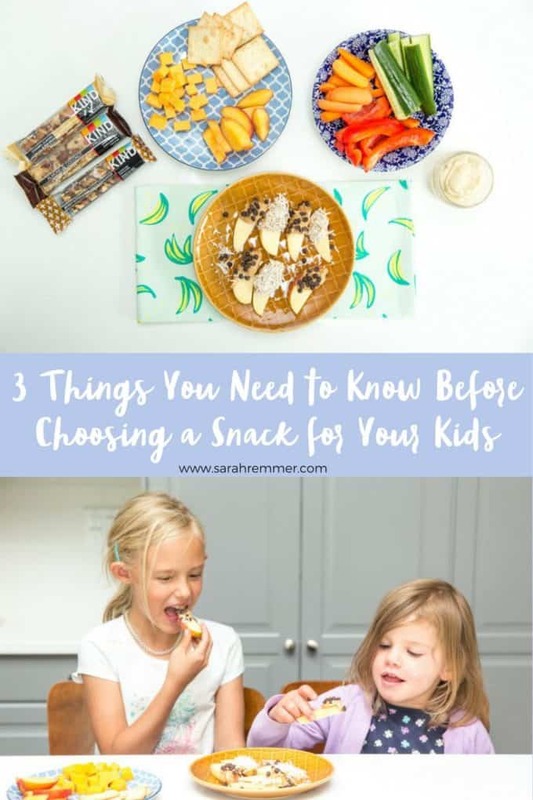 I BREAK IT DOWN FOR YOU HERE, GIVING YOU MY TOP THREE NUTRITION CRITERIA WHEN CHOOSING SNACKS FOR MY KIDS! 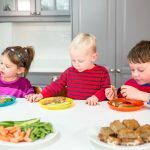 As a mom, I know just how much time and energy goes into kids’ snacks, especially in the summer, when they’re home from school. Shopping for them, preparing them, serving them. Repeat! 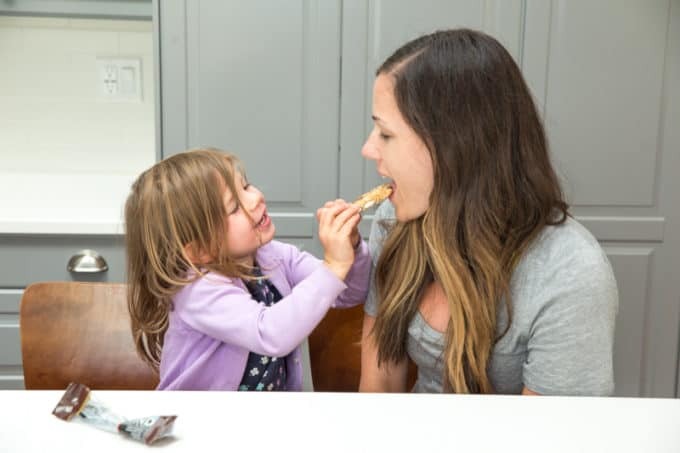 It’s no secret that kids love snacks, and from a nutritional standpoint, they’re essential. 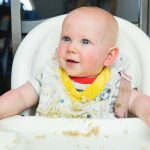 Our little ones have smaller stomachs than we do, which means they need to eat more often to fill nutritional gaps and keep energy levels up. 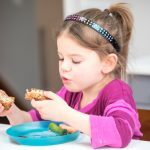 The tricky part for many parents is finding a snack that’s nutritious, easy to prepare and appealing to kids. 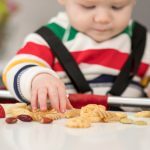 I’m finding more and more that parents are relying on ultra-sweet, processed snacks to stave off hunger between meals, distract in the checkout line, or sooth during a tantrum. 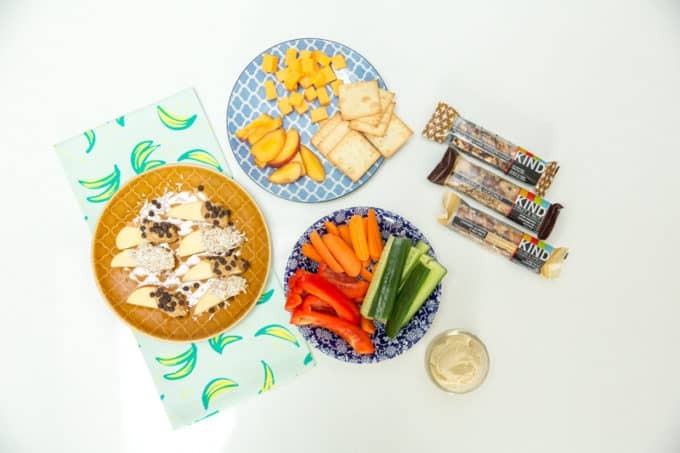 As important as it is to serve snacks, it’s just as important to serve nutrient-dense snacks that aren’t loaded with sugar (and serve them for the right reasons–to fill nutritional gaps in between meals). It’s important to serve a variety of snack foods, to expose kids to different flavours, textures and nutrients. It’s also important to serve snacks that are nutrient-dense and not overly processed or packed with sugar. We know that consuming too much sugar can lead to fairly serious health consequences like heart disease, stroke, diabetes, cancer and obesity. And it’s no secret that kids – in general – consume too much. But what parents are confused about is how much sugar is ok, and how to make healthy, nutritious snack choices for their families. This doesn’t surprise me, considering the fact that Nutrition Facts Tables aren’t required to differentiate between naturally-occurring sugars and added sugars (yet, anyways), and that most consumers aren’t aware that Health Canada recommends a maximum of 100 grams of sugar per day (here’s an infographic illustrating what this looks like for one day). Not all sugar is created equal. For example, the sugars found in milk products and fruit are naturally-occurring. Conversely, “added sugar” is sugar that is added to foods to sweeten them, such as pop, candy, chocolate bars, desserts and many popular snack foods. 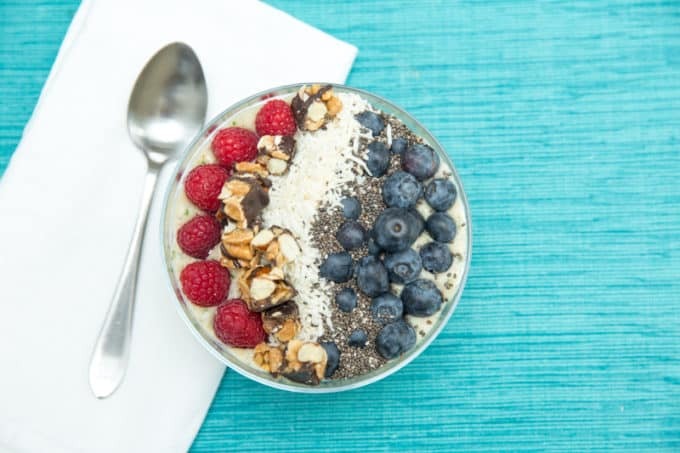 The difference is that whole foods containing naturally-occurring sugars also contain several nutrients such as protein, fibre, vitamins, minerals and antioxidants, which all work synergistically to provide health benefits. 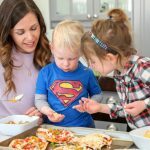 For example, much of the sugar in KIND® snacks comes from dried fruit such as cherries, cranberries, blueberries, and apricots, which also provide nutrients such as dietary fibre, iron, and vitamin C.
When it comes to sugar, parents should aim for less added sugar and total sugar when choosing foods for their family. This means cutting back on high-sugar processed and packaged foods like super sweet snacks, candy and store-bought cookies, limiting or avoiding sugar-sweetened beverages, and cutting back on sugar in baking, sauces and spreads. As a dietitian, my first choices for snacks are whole foods, such as fruit and yogurt smoothies, cheese and apple slices, and veggies and hummus. 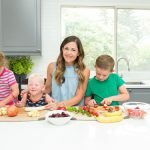 But as a mom, I’ve realized that convenience, ease and portability are also key, so it’s nice to have a few packaged snacks on hand that I can feel good about. 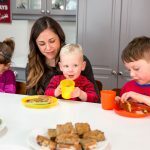 When it comes to snack foods, there are three things I look for, to ensure that I’m buying a nutrient-dense, low sugar option for my family. 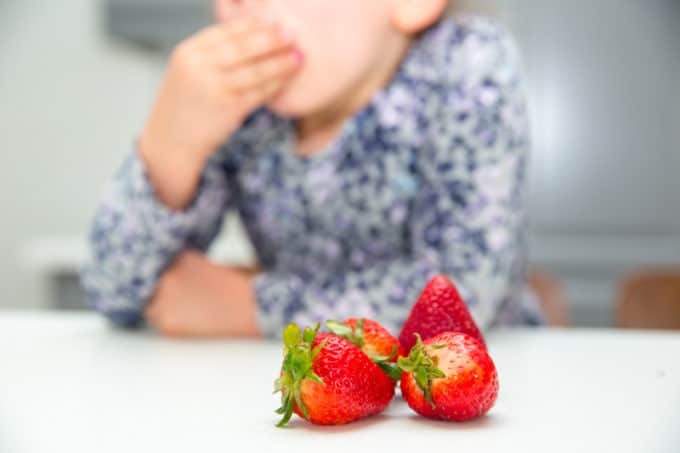 As mentioned above, it’s important that we limit the total daily amount of sugar to less than 100 grams per day, and a good way to do that is to choose lower sugar snack foods. 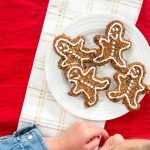 When it comes to packaged snack foods, my rule of thumb is to choose snacks that contain ten grams of total sugar or less per serving (you can view the amount of sugar on the Nutrient Facts Table). This is one of the reasons I love KIND® bars. The total amount of sugar in many of the varieties is just five grams, whereas other competing nutrition bars average about 23 grams (more than four times!) the amount in a KIND® bar. 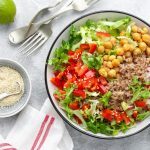 Both protein and dietary fibre provide many health benefits individually, but one benefit they have in common is that they both provide satiety (fullness). 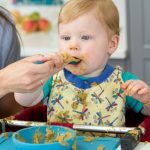 They take longer to digest and break down than carbohydrates (starches and sugars), so they make you and your kids feel fuller longer, and help to stabilize energy levels, blood sugar levels and appetite. What I look for in a packaged snack is at least four grams of fibre and at least 5 grams of protein per serving to provide a bit of a “fullness factor” and keep you going until the next mealtime. Most KIND® bars meet the mark for these key nutrients, because they contain whole food fibre- and protein-rich ingredients such as almonds, cashews, pecans, peanuts, chia seeds, and oats. 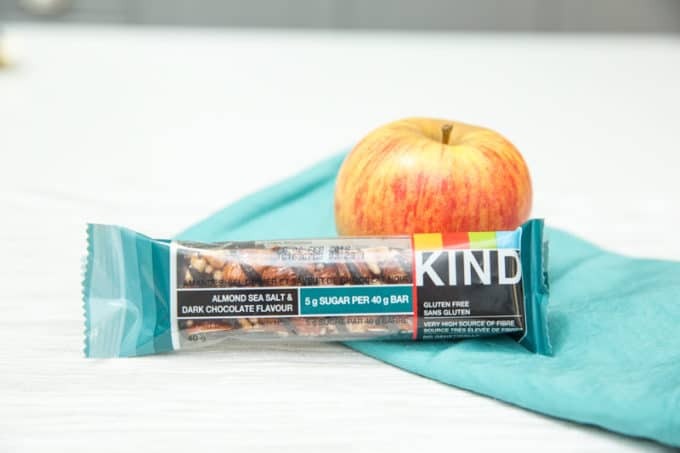 If you love KIND bars like me, or want to test them out, enter to win an entire month’s worth of KIND® snacks by using the hashtag #KINDSnacks when sharing this post on social media! 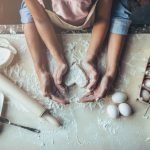 I always look at the ingredients list first, to make sure that it contains real, wholesome food ingredients, that it’s a relatively short list, and that there aren’t artificial colours, flavours, or many additives or preservatives. Keep in mind that the ingredients are listed in order – the most to the least. So if a bar contains almonds, pecans and peanuts as the first three ingredient, you know that those make up the majority of that snack food, and that it’s shaping up to be a pretty nutritious option! 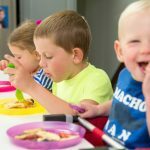 In a nutshell, these three criteria helps to distinguish between a “treat” or dessert food, and a nutritious snack. If a packaged snack has more than ten grams of sugar, doesn’t contain much fibre or protein or has a super long list of ingredients, it should likely be considered a treat. If it meets all three criteria, you’ve got yourself a good snack choice! 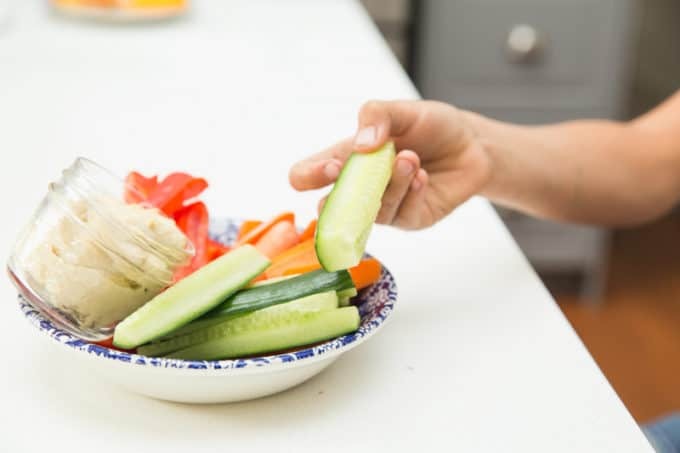 If you can make it a priority to serve whole, nutritious foods most of the time, and then find a few nutritious, low-sugar snack options , you’re good to go! Don’t forget–to enter to win a month’s worth of healthy snacks from my friends at KIND®, share this post and use the hashtag #KINDsnacks. Share (and enter) as many times as you want! For more tips and tricks when it comes to childhood nutrition, and for healthy, easy recipes, check out my Facebook Page and Instagram feed! Great list. 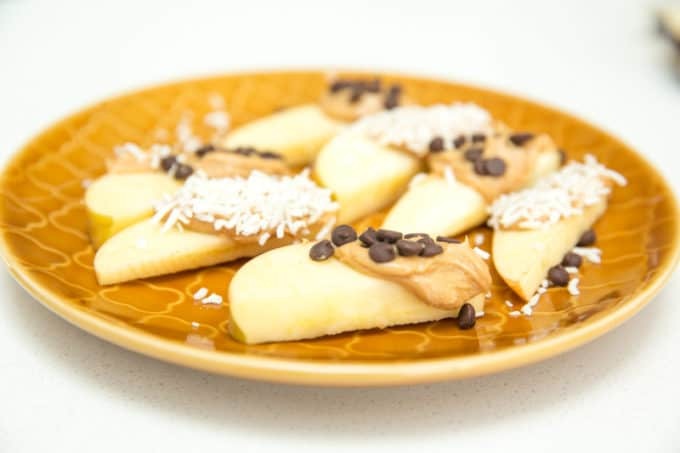 One small typo ‘Apple slices with but butter and shredded coconut’! Such a great post Sarah! Love all the great ideas you have listed here! Great guidelines! It can be so confusing these days. Thanks for sharing your thoughts!!! Great tips for parents and families everywhere! Great guide for any parents! Makes the added sugar media talk much easier to take in. I’ve been thinking about some different options for snack food, and some ideas would be good. I’m glad you talked about being able to get some greek yogurt and berries. I think that being able to get some healthy snack food supplies would be good, and help us be able to have better health!